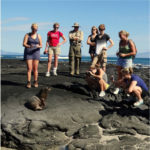 Her speed, comfort, top guides and itinerary will make Ocean Spray perfect for your Galapagos cruise adventure. 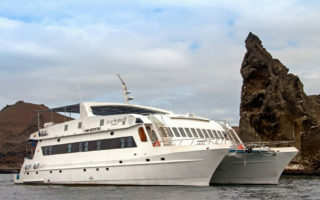 One of the most luxurious catamarans in the Galapagos and one of the only with cabins with private terrace. The Archipel I is a smooth-riding catamaran with lots of space and comfort at a very good price. You'll be delighted by penguins, seals and whales as they accompany you on your journey along the Antarctic coastline. This expedition is the perfect chance to experience the best of the Antarctic Peninsula. 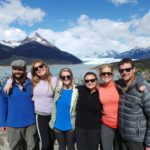 Traveling to the southernmost continent in the world is unbelievable, yet even more incredible is enjoying the best scenery and wildlife this part of the world has to offer. Prepare yourself for a sensory overload, as you'll be inundated by the sheer beauty and dramatic landscapes of the white continent. 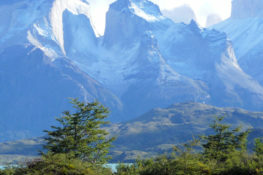 South America offers some of the best small ship cruise opportunities in the world. From the sandy beaches and animal-filled islands of the Galapagos Islands off the coast of Ecuador, to a far-flung Amazon River cruise, to meandering fjords and glaciers around Patagonia, and to jumping off the continent and cruising to Antarctica, this massive continent offers a wide range of world-class small ship cruises and yacht trips. By booking with Knowmad not only are you guaranteed superior service, but we guarantee a same or better cruise than if you book directly with the ship or another company. If after booking you find the same cruise at a better price, we will refund you the difference. 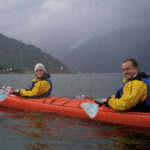 These small ship cruises can be booked as stand-alone stays or as part of a more in-depth South America travel experience. Learn more about the custom travel planning process here. Upon confirming your South America small ship cruise with Knowmad, you will be sent a detailed Trip Information Packet particular to your trip that answers most pre-departure questions and includes a pack list, pre-departure check list, and more. Prior to departure, along with your re-confirmed itinerary you receive your Buen Viaje, or Safe Travels document that includes maps with hotels indicated, 24-hour in-country emergency phone numbers, and other valuable assistance tools. How Does Knowmad Choose Its Small Ship Cruise Partners? First and foremost we inspect as many of the leading ships as we can. As we operate in just one continent rather than trying to offer and stay abreast of every worthwhile travel product worldwide, we are able to personally inspect a much greater percentage of the cruises we offer than other companies. This ensures that we recommend only the finest yachts and values in each destination and price category, and also allows us to have deep and consistent relationships with boat owners resulting in our travelers getting preferred treatment as well as the best possible small ship cruise prices in Galapagos, Amazon, Patagonia, and Antarctica.